Google Pixelbook is finally out and this time, it will have a built-in Google Assistant and Google Pen for improving your efficiency. Google announced a mountain of products in San Fransisco yesterday. There, it unveiled its promising products such as Pixelbook, Google Home Mini, Pixel 2, Pixel 2 XL, and Home Max. Google claims that the software and hardware of Pixelbook are perfectly designed around the AI. The laptop comes with a built-in Google Assistant and Google Pen for the very first time. The convertible Pixelbook sports a massive 12.3-inch touchscreen display along with soft touch keys and backlit structure. So far, this Pixelbook is the sleekest product that Google has ever made. It has a weight of 1.1 kgs and it is 10.3mm thin. Find out the significant differences between Pixel XL and Samsung Galaxy Note 8, and know which smartphone outdoes the other. The device’s powerful battery can last up to 10 long hours, and in case of low battery, the gadget can proffer extra charging time of 15 minutes. The Google Pixelbook pen has utilized machine learning for identifying handwriting. As per Google, the pen is quick, smooth and easily follows the user’s hand movements. It consists of an angular awareness of 60 degrees and pressure sensitivity of 2000 levels. The Google gadget has introduced a built-in Google Assistant for the first time as well. Just press the required key, or say ‘Ok Google’ to know about anything or everything going around. Also, you can listen to your favorite playlist in hands-free mode with Google Assistant. 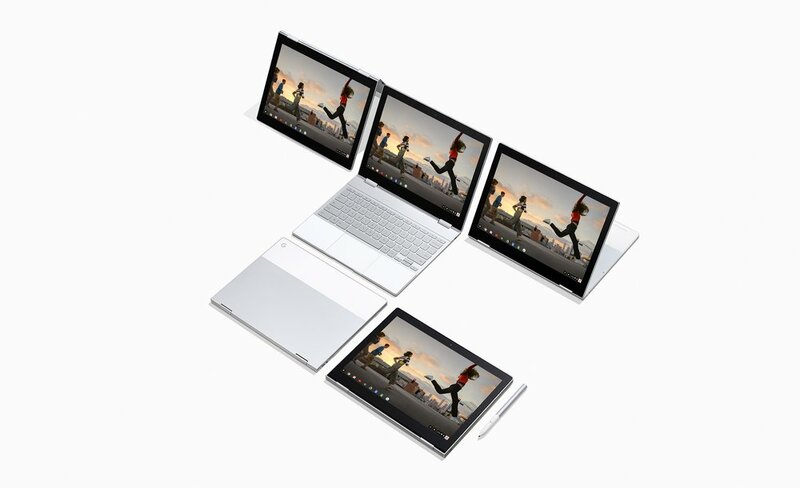 The convertible Pixelbook comes in a 4-in-1 design. The users can use it as a tablet and a laptop depending on their comfort. It runs on Intel Core i5 and i7 processors. The RAM of the gadget is not disclosed yet, but it will offer internal storage capacity up to 512GB. The Chrome OS, the core software of Pixelbook keeps you automatically updated and enhances your security. The starting price of this gadget is $999 and for getting the Pixelbook Pen, you’ll have to spend $99 more. The devices will be shipped on 31st October. So, pre-order now!